This page describes advanced capabilities of SLURM. For a basic introduction to SLURM, see SLURM: Scheduling and Managing Jobs. Distributed memory programs that include explicit support for message passing between processes (e.g. MPI). These processes execute across multiple CPU cores and/or nodes. Multithreaded programs that include explicit support for shared memory processing via multiple threads of execution (e.g. Posix Threads or OpenMP) running across multiple CPU cores. Embarrassingly parallel analysis in which multiple instances of the same program execute on multiple data files simultaneously, with each instance running independently from others on its own allocated resources (i.e. CPUs and memory). SLURM job arrays offer a simple mechanism for achieving this. GPU (graphics processing unit) programs including explicit support for offloading to the device via languages like CUDA or OpenCL. 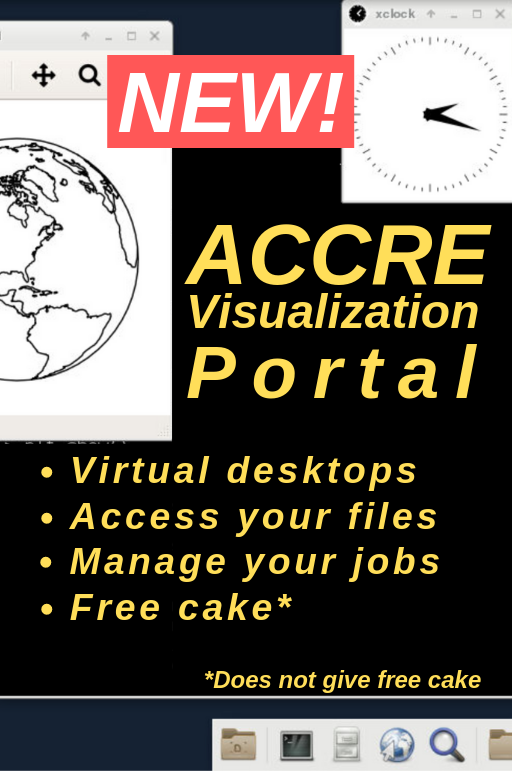 It is important to understand the capabilities and limitations of an application in order to fully leverage the parallel processing options available on the ACCRE cluster. For instance, many popular scientific computing languages like Python , R , and Matlab now offer packages that allow for GPU or multithreaded processing, especially for matrix and vector operations. This example requests 3 nodes and 8 tasks (i.e. processes) per node, for a total of 24 MPI tasks. By default, SLURM allocates 1 CPU core per process, so this job will run across 24 CPU cores. Note that srun accepts many of the same arguments as mpirun / mpiexec (e.g. -n <number cpus>) but also allows increased flexibility for task affinity, memory, and many other features. Type man srun for a list of options. Feel free to open a help desk ticket if you require assistance with your MPI job. This command is used to launch a parallel job step. Typically, srun is invoked from a SLURM job script to launch a MPI job (much in the same way that mpirun or mpiexec are used). More details about running MPI jobs within SLURM are provided in the GPUs, Parallel Processing and Job Arrays section. Please note that your application must include MPI code in order to run in parallel across multiple CPU cores using srun . Invoking srun on a non-MPI command or executable will result in this program being independently run X times on each of the CPU cores in the allocation. Multithreaded programs are applications that are able to execute in parallel across multiple CPU cores within a single node using a shared memory execution model. In general, a multithreaded application uses a single process (i.e. “task” in SLURM) which then spawns multiple threads of execution. By default, SLURM allocates 1 CPU core per task. In order to make use of multiple CPU cores in a multithreaded program, one must include the --cpus-per-task option. 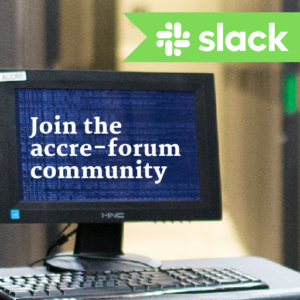 The ACCRE cluster features 8-core and 12-core nodes, so a user can request up to 12 CPU cores per task. Below is an example of a multithreaded program requesting 4 CPU cores per task. The program itself is responsible for spawning the appropriate number of threads. The #SBATCH --array=0-2 line specifies the array size (3) and array indices (0, 1, and 2). These indices are referenced through the SLURM_ARRAY_TASK_ID environment variable in the final line of the SLURM batch script to independently analyze the three input files. Each Python instance will receive its own resource allocation; in this case, each instance is allocated 1 CPU core (and 1 node), 2 hours of wall time, and 2 GB of RAM. One implication of allocating resources per task is that the node count will not apply across all tasks, so specifying --nodes=1 will not limit all tasks within an array to a single node. To limit the total number of CPU cores (and thus tasks) used simultaneously, use %[CPU_COUNT] following the --array= option. For example, --array=0-100%4 will limit the tasks to running on 4 CPU cores simultaneously. This means the tasks will execute in batches of 4 until all 100 tasks have completed. The --array= option is flexible in terms of the index range and stride length. For instance, --array=0-10:2 would give indices of 0, 2, 4, 6, 8, and 10. The %A and %a variables provide a method for directing standard output to separate files. %A references the SLURM_ARRAY_JOB_ID while %a references SLURM_ARRAY_TASK_ID. SLURM treats job ID information for job arrays in the following way: each task within the array has the same SLURM_ARRAY_JOB_ID, and its own unique SLURM_JOBID and SLURM_ARRAY_TASK_ID. The JOBID shown from squeue is formatted by SLURM_ARRAY_JOB_ID followed by an underscore and the SLURM_ARRAY_TASK_ID. You must be a member of a GPU account in order to submit GPU jobs. 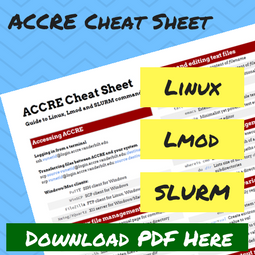 ACCRE provides a command, slurm_groups, that can tell you if GPU access is enabled for your login as well as which account and partition to use. See slurm_groups. Users can request the desired amount of GPUs by using SLURM generic resources, also called gres. Each gres bundles together one GPU to multiple CPU cores (see table above) belonging to the same PCI Express root complex to minimize data transfer latency between host and GPU memory. The number of CPU cores requested cannot be higher than the sum of cores in the requested gres . Note that you must be in one of the GPU groups on the cluster and specify this group from the job script in order to run jobs on the GPU cluster. The #SBATCH --partition=<pascal OR maxwell> line is also required in the job script. There are currently a handful applications available that allow you to leverage the low-latency RoCE network available on the maxwell and pascal partitions. Note that both GPU partitions are intended for GPU jobs only, so users are not allowed to run purely CPU programs. The GPU nodes (both the maxwell and pascal partitions) support serial CPU execution as well as parallel CPU execution using either a multi-threaded, shared memory model (e.g. with OpenMP) or a multi-process, distributed memory execution (i.e. with MPI). Two flavors of RoCE-enabled MPI are available on the cluster, as well as Gromacs and HOOMD-Blue. All jobs making use of a RoCE-enabled MPI distribution should use SLURM’s srun command rather than mpirun/mpiexec . Click here for an example of a HOOMD-Blue job. To test your application without submitting a batch job you can request an interactive job session via salloc as explained on the SLURM page, using your GPU-enabled account and partition. This will not work with multiple GPU applications that require the use of srun . It is possible to check the status of the GPU compute nodes by using the qSummary and SlurmActive commands.